Charles Manson is an American serial killer who was convicted for his involvement in the Sharon Tate murders (the then wife of director Roman Polanski) and the LaBianca murders (the Tate, Labianca murder spree). Charles Manson was the cult leader who influenced his followers to commit murder because he failed to land a record deal. 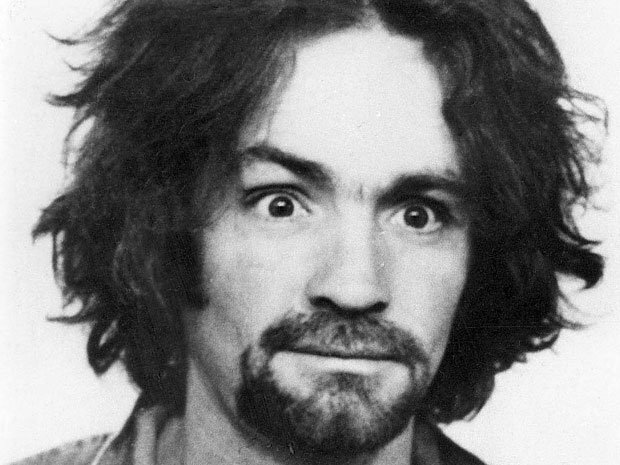 Charles Manson died on November 19, 2017, in Bakersfield, CA. Charles Manson died at age 83. Jason Freeman claimed to be the grandson of Charles Manson and Michael Brunner, the alleged son of Charles Manson Family member Mary Brunner. Both men claimed owenership of Charles Manson"s body which ended up going to trial before a judge. Charles Manson was a musician born on November 12, 1934, to 16-year-old mother Kathleen Maddox and Colonel Walker Scott. He was born in the General Hospital, in Cincinnati, Ohio. Charles was a singer and songwriter in the Los Angeles music industry. His songs were released commercially after being convicted of murders. Some of his songs were covered by Marilyn Manson, White Zombie, and Guns N" Roses. He had two wives and three kids that were proven by paternity. He claims to have other children, but it is not proven. He was imprisoned at Corcoran State Prison, serving the death penalty to life in prison. Charles Manson is an American serial killer and musician born on November 12, 1934, in the General Hospital, in Cincinnati, Ohio. His parents were Kathleen Maddox (1918-1973) and Colonel Walker Scott (May 11, 1910 - December 30, 1954). His birth name was Charles Milles Maddox, and his last name was changed to Manson after his mother married William Manson. It is believed that he never knew his biological father. His mother once sold him to a woman who was a waitress and could not conceive for a pitcher of beer. His uncle had to retrieve him from the lady. That event had occurred before he adopted the last name of William Manson. His mother and uncle were arrested in 1939 and sentenced to prison for five years for robbing a service station in Charleston, West Virginia. Charles then lived with his aunt and uncle in McMechen, West Virginia until his mother received parole in 1942. Charles Manson"s mother did not have much money, and they lived in numerous old hotel rooms. She tried to place Charles in a foster home, but there was no one to take him. He was placed in Gibault School for Boys in Terre Haute, Indiana. Charles did not like it there and escaped after ten months and returned to his mother who in return rejected him. On March 21, 1967, he was released from prison and told the prison that he does not want to be released. His words were "Oh, no, I can"t go outside there... I knew that I couldn"t adjust to that world, not after all my life had been spent locked up and where my mind was free." After his release, he moves to San Francisco. He met a music teacher Gary Hinman sometime after his release. Gary introduces him to one of the Beach Boys artists; Dennis Wilson and Dennis introduced him to Terry Melcher (actress Doris Day"s son). Terry was interested in Manson"s music but refused to work with him. Terry leased his home on Cielo Drive to actress Sharon Tate and her husband, film director Roman Polanski after Melchor moving out of the house. Charles was found guilty in 1971 with the help of prosecutor Vincent Bugliosi Jr. of the death of 8 1/2 month pregnant actress Sharon Tate (Eye of the Devil, Valley of the Dolls) and six other people in August of 1969. Manson did not personally kill Sharon and the other people, but he was convicted through joint-responsibility rule. Joint-responsibility rule holds each member of a conspiracy to murder guilty of the crime and faces the same punishment as other members of the team. Linda Kasabian was given immunity because she testified against Manson and his other followers. Charles Manson, Atkins, Krenwinkle and Van Houten received the death penalty on March 29, 1971. Charles "Tex" Watson was found guilty for murdering seven people and was sentenced to death. He is currently serving life in prison at Corcoran State Prison after the Supreme Court of California stopped the death penalty law in 1972. His followers that were convicted and sentenced to the death penalty are all serving life in prison. The reinstatement of capital punishment did not affect Charles. He was denied parole on April 12, 2012, because he received a total of 108 violations since 1971 and did not show any regret for his murders. It was the 12th time he was denied parole since 1971. Charles is now, as of 1969, a former unemployed convict who spent about half of his life at that point in prison. He had a group of followers called the Manson Family. Manson shot and killed Bernard "Lotsapoppa" Crowe in his apartment. Crowe was a drug dealer that threatened to kill all of Manson"s followers after Tex Watson robbed Crowe of his money. He instructed Bobby Beausoleil, Susan Atkins, and Mary Brunner to obtain money from Gary Hinman. Manson showed up after the team was unsuccessful for two days and slashed Hinman"s ears off. His followers stabbed Hinman numerous times on July 25, 1969, until he died. Manson instructed Tex Watson, Susan Atkins, and Patricia Krenwinkel to murder people at the Benedict Canyon home, 10050 Cielo Drive. His words "that house where Melcher used to live" and "totally destroy everyone in [it], as gruesome as you can." They committed their murders on August 8, 1969, and August 9, 1969. Linda Kasabian was also his follower and kept watch/lookout for unwelcome guest. They murdered the 8 1/2 month pregnant actress Sharon Tate, Steven Parent, Wojciech Frykowski (writer), Jay Sebring (hairstylist) and Abigail Folger (heiress to the Folger coffee fortune). 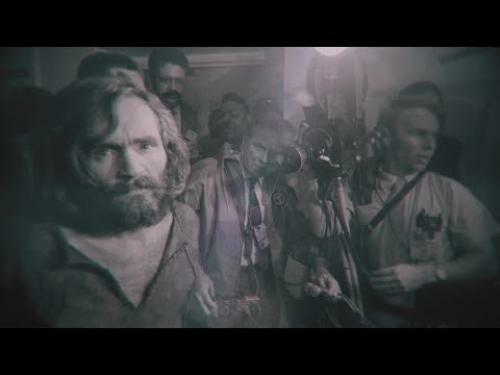 Manson took a few of his followers (Watson, Atkins, Leslie van Houten, Krenwinkel, Steve "Clem" Grogan and Kasabian) to look for victims because he was not pleased with the work his followers did the nights before. They decided to murder Leno LaBianca and his wife, Rosemary LaBianca in the most horrific brutal way. His parents were Kathleen Maddox (1918-1973) and Colonel Walker Scott (May 11, 1910 - December 30, 1954). He was married to his first wife, Rosalie Jean Willis from 1955-1958. Charles and Rosalie have a son named Charles Milles Manson, Jr., who committed suicide on June 29, 1993, by shooting himself in the head. Charles was also married to Candy Stevens from 1959-1963, but they did not have any children together. Charles Manson had many other children, but only two others were proven by paternity. He has a son with Leona whose name is Charles Luther Manson born on April 10, 1963. His other son with Mary Theresa Brunner is Valentine Michael Manson who was born on April 15, 1968. Charles Manson and his family were inciting and increasing racial tensions looking to incite a race war, their Helter Skelter. Lynette "Squeaky" Fromme, a cult member of Charles Manson"s Manson Family, attempted to assassinate United States 38th President Gerald Ford in Sacramento, California on September 5, 1975. "These children that come at you with knives--they are your children. You taught them. I didn"t teach them. I just tried to help them stand up." "You people would convict a grilled cheese sandwich of murder and the people wouldn"t question it." "it seems a shame to have to sneak to get to the truth. To make the truth such a dirty old nasty thing. You gotta sneak to get to the truth; the truth is condemned. The truth is in the gas chamber. The truth has been in your stockyards. Your slaughterhouses. The truth has been in your reservations, building your railroads, emptying your garbage. The truth is in your ghettos. In your jails. In your young love, not in your courts or congress where the old set judgment on the young. What the hell do the old know about the young? They put a picture of old George on the dollar and tell you that he"s your father, worship him. Look at the madness that goes on; you can"t prove anything that happened yesterday. Now is the only thing that"s real. Every day, every reality is a new reality. Every new reality is a new horizon, a brand new experience of living. I got a note last night from a friend of mine. He writes in this note that he"s afraid of what he might have to do in order to save his reality, as I save mine. You can"t prove anything. There"s nothing to prove. Every man judges himself. He knows what he is. You know what you are, as I know what I am, we all know what we are. Nobody can stand in judgment, they can play like they"re standing in judgment. They can play like they stand in judgment and take you off and control the masses, with your human body. They can lock you up in penitentiaries and cages and put you in crosses as they did in the past, but it doesn"t amount to anything. What they"re doing is, they"re only persecuting a reflection of themselves. They"re persecuting what they can"t stand to look at in themselves, the truth." "A lot of you young people, even though you go through college, you still don"t understand that courtroom. That courtroom is the court of the kings and lords of the world. We as human beings can invoke the ground here called the United States of America. And the reason our system has perpetuated in such a way is because all the powers of Europe and England and monarchies and all those big people; we have come over here and started another world where each man in the United States has that power because he has that courtroom. That courtroom belongs to every human being in the United States. And if you take that courtroom away from one human being, you"re taking that courtroom away from all human beings. Then what follows is you got kings and queens of yesterday - they"re gonna come and play croquet with your heads. They"re gonna take your courtrooms. They"re gonna take your money, and they"re gonna take your country. They"re gonna take your resources. They"re gonna rip you off in every way you can think of because you didn"t give your own children the benefit of the courtroom that your fathers fought in battles and died for." "You know, a long time ago being crazy meant something. Nowadays everybody"s crazy." "We`re not in Wonderland anymore, Alice." "Pain"s not bad, it"s good. It teaches you things. I understand that." "Sanity is a small box; insanity is everything." "Now I am too beautiful to be set free." "Death is the greatest form of love." And a straight razor ...if you get too close to me." "If you"re going to do something, do it well. And leave something witchy." "You got to realize; you"re the Devil as much as you"re God." "The way out of a room is not through the door. Just don"t want out. And you"re free..."
"From the world of darkness, I did loose demons and devils in the power of scorpions to torment." "Do you feel blame? Are you mad? Uh, do you feel like wolf kabob Roth vantage? Gefrannis booj pooch boo jujube; bear-ramage. Jigiji geeji geeja geeble Google. Begep flagaggle vaggle veditch-waggle bagga?" "The real strong have no need to prove it to the phonies." "How old am I? I"m as old as my mother told me. How"s that?" "I have ate out of your garbage cans to stay out of jail. I have wore your second-hand clothes...I have done my best to get along in your world, and now you want to kill me, and I look at you, and then I say to myself, You want to kill me? Ha! I"m already dead, have been all my life. I"ve spent twenty-three years in tombs that you built." "The mind is endless. You put me in a dark solitary cell, and to you, that"s the end, to me it"s the beginning, it"s the universe in there, there"s a world in there, and I"m free." "Animals shouldn"t be hunted and nature shouldn"t be disturbed, even destroyed, to benefit the whims of mankind." "I can"t judge any of you. I have no malice against you and no ribbons for you. But I think that it is high time that you all start looking at yourselves and judging the lie that you live in." "Remorse for what? You people have done everything in the world to me. Doesn"t that give me equal right?" "Fear of Vikings build castles." "Getting up every day and going through this, again and again, is hard." "I don"t wanna take my time going to work; I got a motorcycle and a sleeping bag and ten or fifteen girls. What the hell I wanna go off and go to work for? Work for what? Money? I got all the money in the world. I"m the king, man. I run the underworld, guy. I decide who does what and where they do it at. What am I gonna run around like some teeny bopper somewhere for someone else"s money? I make the money man; I roll the nickels. The game is mine. I deal the cards." "In my mind"s eye, my thoughts light fires in your cities." "There is no way that you can know the taste of water unless you drink it or unless it has rained on you or unless you jump in the river." "Total paranoia is just total awareness." "I ain"t got no magical powers and mystical trips and all that kind of crap. It"s kind of silly." "We"re all our own prisons, we are each all our own wardens, and we do our own time. I can"t judge anyone else. What other people do is not really my affair unless they approach me with it. Prison"s in your mind. Can"t you see I"m free?" Look straight at me, and you see yourself." "I know and understand you are much more than what I think you are, but first I must deal with you the way I think you even if that"s only my own thinking and not you." "I"m Jesus Christ; whether you want to accept it or not, I don"t care." Susan Denise Atkins died in prison on September 24, 2009. Leslie Van Houten was denied parole for the 19th time on July 6, 2010. Patricia Krenwinkel was denied parole for the 13th time on January 20, 2011. Charles "Tex" Watson was denied parole for the 16th time on November 16, 2011. Bruce Davis is given parole in California after his 28th parole hearing on March 12, 2014. Bobby Beausoleil is still serving life in prison. Charles Manson serial killer is a male serial killer. Charles Milles Manson is a male serial killer.